I have been dying to read Tolkien and C.S. Lewis: The Gift of Friendship by Colin Duriez for years. I finally bought it as a treat for myself. I recommend this book whole-heartedly, and I really loved it. Just remember that these guys and their friendship are not exactly how you want them to be. Lewis and Tolkien are wonderful and interesting, but they are also just a tiny bit, I hate to even say it, pretentious elitists. Bless their hearts. Tolkien is somewhat dismissive of Lewis's Narnia chronicles for being too allegorical. But they were friends who influenced each other and had a lot of respect for each other. You think it would be such a treat to listen in on their conversations—which took place regularly over many years in pubs and dens around Oxford. This book affords you the opportunity to read about their relationship. Spoiler alert: Their relationship is based mostly on philology. But still, this book brought tears to my eyes. It is fascinating to read the back story and the process these authors went through to create Narnia and Middle Earth. I think they are special people, special thinkers. The biographical details in this book are quite fascinating to read. They both lost their mothers early in life. Tolkien: "It is to my mother, who taught me, that I owe my taste for philology, especially of the Germanic languages, and for romance." Her name was Mabel. Lewis: "With my mother's death all settled happiness, all that was tranquil and reliable, disappeared from my life. There was to be much fun, many pleasures, many stabs of joy; but no more of the old security. It was sea and islands now; the great continent had sunk like Atlantis." Tolkien was instrumental in Lewis's conversion to Christianity. Tolkien read most of Lord of the Rings out loud to CS Lewis: "CS Lewis was 1 of the only 3 persons who have so far read all or a considerable part of my 'mythology' of the first and second ages, which had already been in the main lines constructed before we met. He had the peculiarity that he liked to be read to." Lewis's interest was important to Tolkien's belief that there could be an adult readership for his "fairy tales." Subsequently, these two changed everything in sci fi and fantasy genres. And they were so dang serious about it. None of their stories came about very whimsically. Both believed that imaginative creations are part of Christianity. Lewis explained, "We do not want merely to see beauty. . . We want something else which can hardly be put into words—to be united in it, to become part of it. That is why we have peopled air and earth and water with gods and goddesses and nymphs and elves." Lewis further explains our relationship to myth within Christianity, "The heart of Christianity is a myth which is also a fact. By becoming fact it does not cease to be myth; that is the miracle. To be truly Christian we must both assent to the historical fact and also receive the myth (fact though it has become) with the same imaginative embrace we accord to all myths." Duriez says, "Their confidence in this reconciliation of myth and fact directly led Tolkien and Lewis to create Middle Earth and Narnia, which aim to present a true picture of reality that combines heaven and earth, spirit and nature." While grading a pile of papers Tolkien comes to a page a student accidentally left blank. If you've ever faced a pile of papers to grade, you know what a treat this is. He wrote across the blank sheet, "In a hole in the ground there lived a hobbit." Other details in this book are especially tasty, like how Tolkien's brother helped run a farm on a dead-ending lane in Oxford which local people sometimes called the "Bag End." The first Narnian story began with a vivid mental picture of a faun in a snowy wood carrying a parcel. The image first came to Lewis when he was a young man of about 16. This reminds me of how JK Rowling says that she just imagined Harry Potter one day on the train. "The unpayable debt that I owe to him was not 'influence' as it is ordinarily understood, but sheer encouragement. He was for long my only audience. 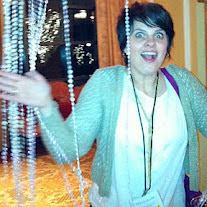 Only from him did I ever get the idea that my 'stuff' could be more than a private hobby. But for his interest and unceasing eagerness for more I should never have brought the L. of the R. to a conclusion." Regarding their place in literary fiction, David C Downing observes, "Joyce, Woolf, Fitzgerald, Faulkner—not to mention Stephen King or Anne Rice—are adept at portraying evil, twisted, neurotic, or self-absorbed characters. But how often does one find simple, good, decent, or wholesome characters portrayed so often and so successfully in modern literature? At both the grand scale (Aslan, Galadriel) and the simple (Mr. and Mrs. Beaver, the hobbits), Lewis and Tolkien could show you what goodness looks like in the flesh." 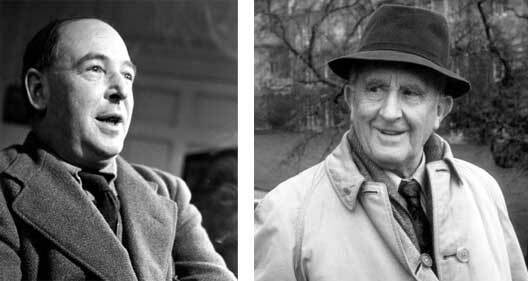 I wish Tolkien and Lewis were a bit more chummy, loyal, and devoted to each other. Surely there should be a movie (in 3 parts?) that portrays them this way. But even in their crusty old dens with their highfalutin discussions, these guys were charming buds. What a wonderful review. I am reading Return Of The King right now, and so I'm on a Tolkien kick. I may just need to add this book to my Spring reading list. Thanks!